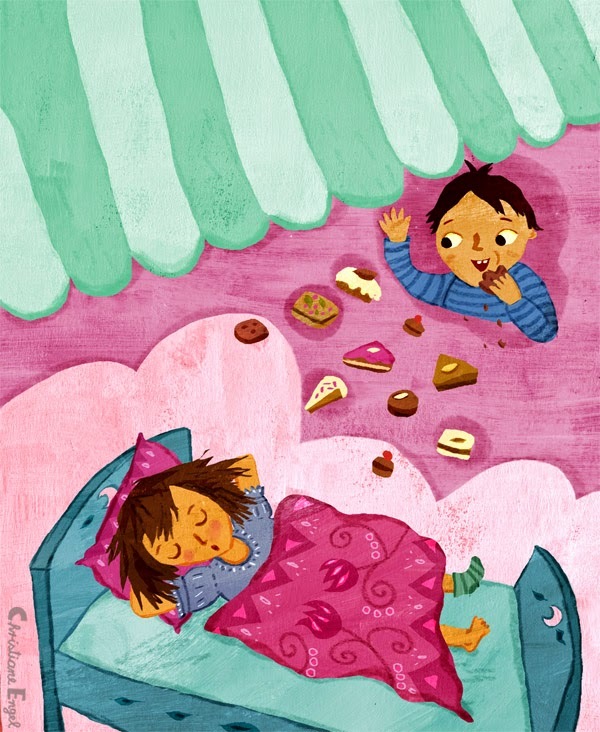 Another advent calendar bedtime illustration from my book One Day - Around the world in 24 hours, published by Bloomsbury. This is Irem from Turkey, fast asleep after looking for her brother at the market. After 2 hours of searching Irem and her grandfather finally found him at the pastry shop! That was lucky!